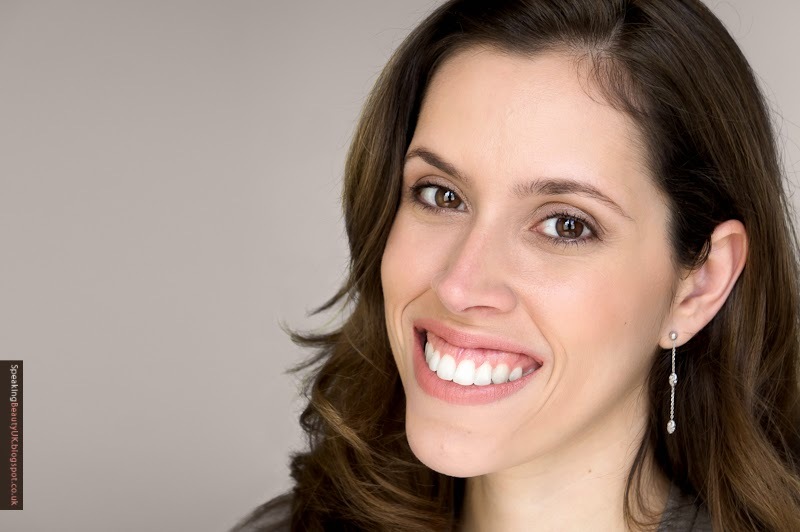 I am a self confessed makeup addict, as I'm sure you are too, if you stopped by to read this. ;-) One of my biggest weaknesses is eyeshadow. If I could, I'd have every single palette out there. I had been lusting after Charlotte Tilbury Luxury Eyeshadow Palettes for a while. To be honest, when it comes to Charlotte, it's hard to choose just one product, as her whole line is so beautiful. I was torn between Dolce Vita, Golden Goddess and Rock Chick. For what I know, these three are Charlotte's best sellers. After playing with all of them for a while, I settled for Dolce Vita, mainly because I thought it would be perfect for Autumn and I don't have anything quite like it in my collection. The packaging is so elegant, with rose gold details. The palettes come with a fairly large mirror, which can be really handy if you're using it on the go. They have 4 eyeshadows, which Charlotte describes as Prime (a light champagne), Enhance (maroon/reddish brown), Smoke (dark brown) and Pop (bronze glitter). All the shadows in Dolce Vita are shimmery. The palettes are very versatile, with colours that give you the option to do a daytime look, a more night time appropriate one and a party look. Charlotte has an amazing tutorial on how to use this palette (here). 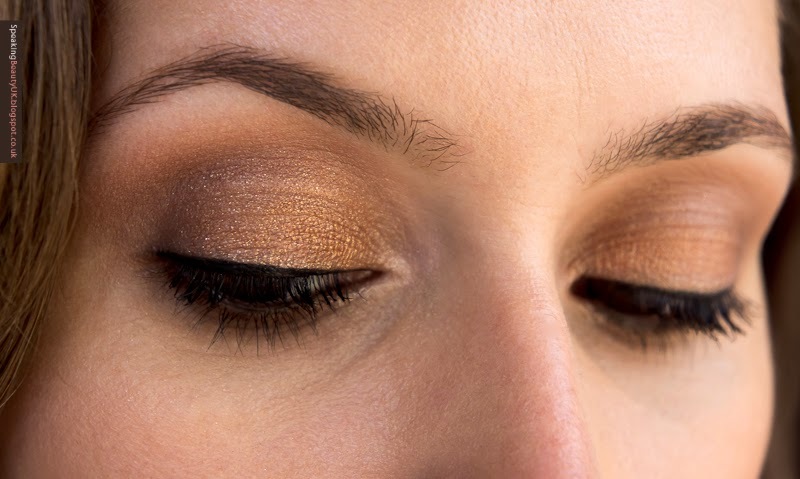 She suggests using the shades Prime and Enhance for a daytime look, then adding Smoke for a night time look and Pop for a more glamorous finish. I tried wearing only Prime and Enhance for daytime, but it didn't work very well on my skin tone. I looked a bit ill. But I think in girls with a more bronzed skin it would look absolutely stunning. 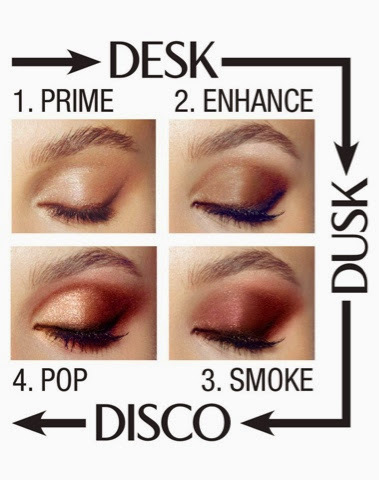 So for a DESK look (daytime), I prefer Prime all over the lid with just a light application of Smoke on the crease and lash line (as an eyeliner), plus a little bit of mascara and I'm out of the door. Such a fresh look, perfect for every day. 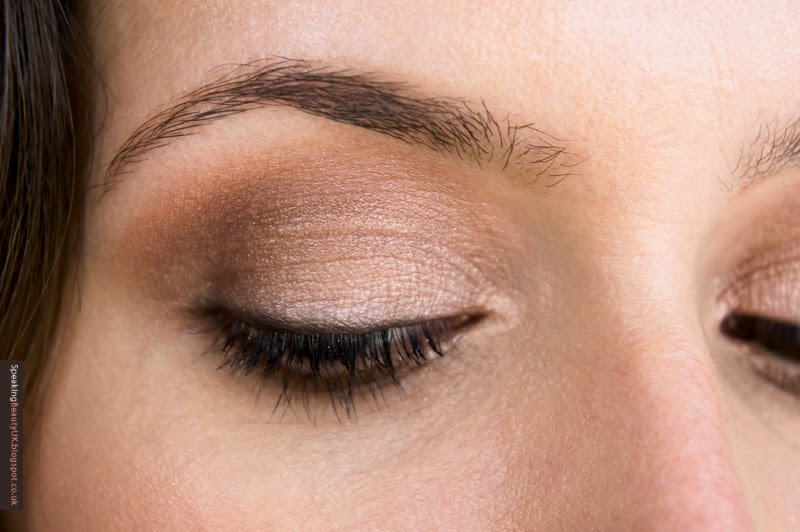 And then to spice things up for a DUSK look (evening), I'll add Enhance to the crease, more Smoke to the socket and apply a mixture of Enhance and Smoke to the lower lash line. 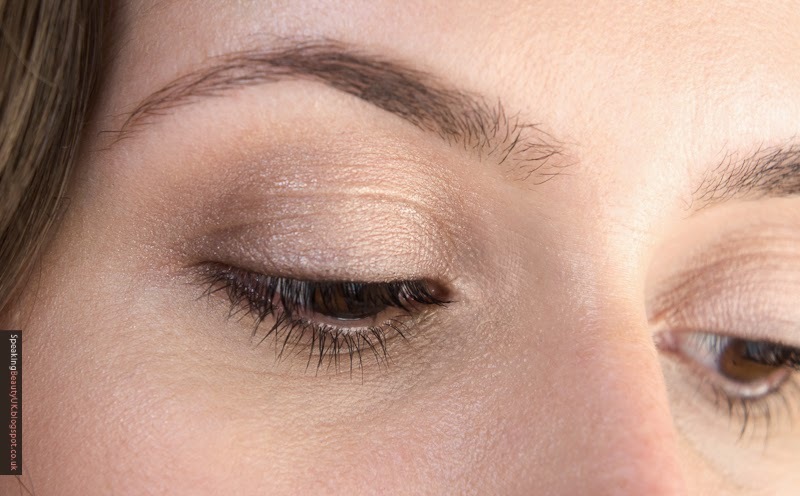 I then smudge black kohl eyeliner on the lash line and add a bit of Prime to the tear duct. 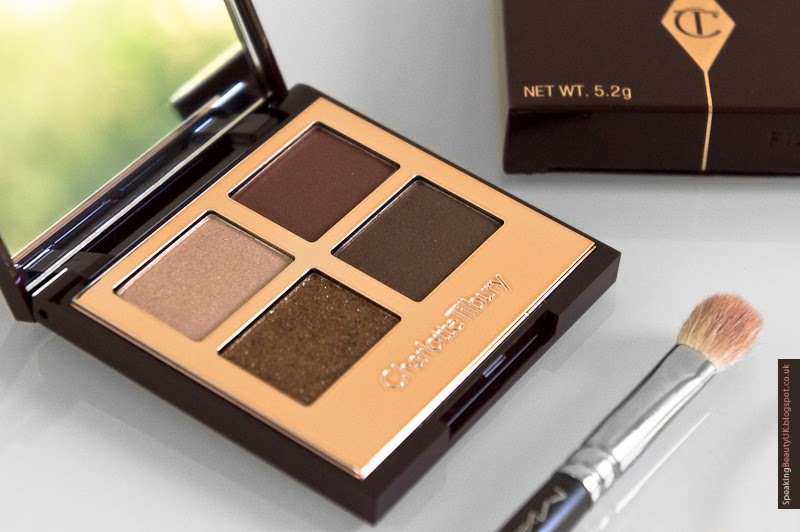 The eyeshadows are gorgeous, pigmented and easy to work with. My only observation is there is a little bit of fall out from all the shades, which is something I had never experienced with other palettes. I always use a tissue under my eyes when applying the shades but will still see some glitter around my eyes throughout the day. 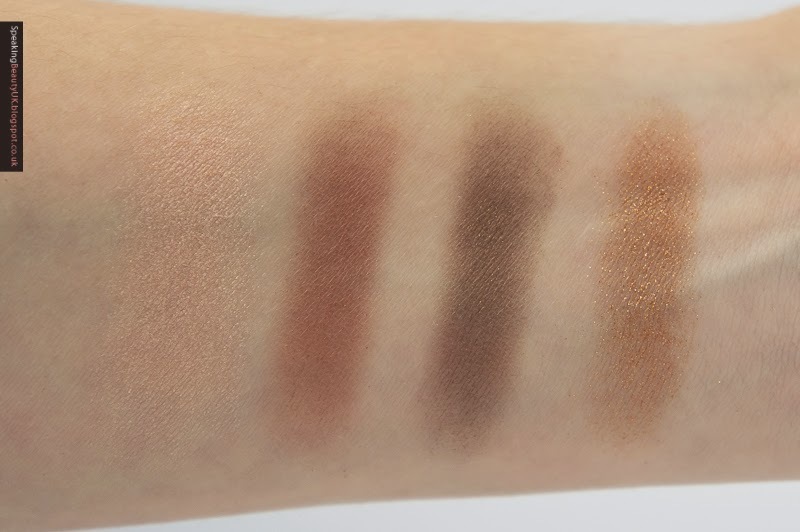 I personally don't mind it, as it's very subtle, but if you do, then maybe you should test it out before buying and make sure this palette is for you. 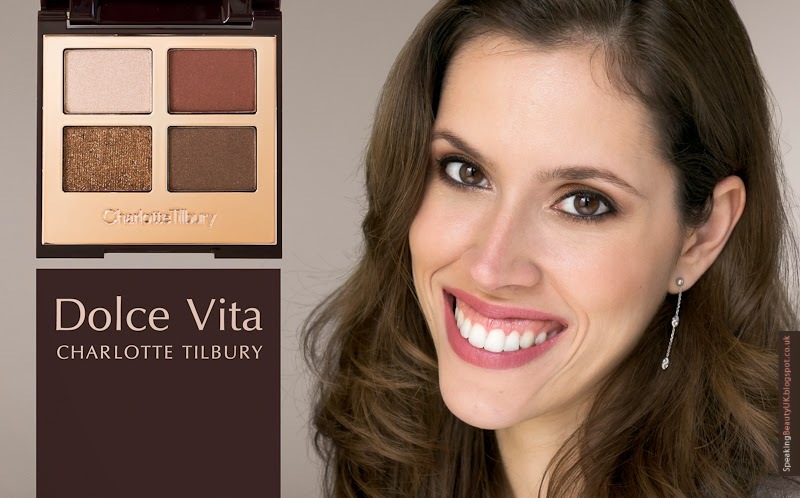 Overall, Dolce Vita is incredible and in my opinion £38 for such a luxury palette is not bad at all. If you put a Mac quad together, for example, you pay £40 for the 4 eyeshadows + £6 for a palette that doesn't even come with a mirror (that'd be £46). I'm in love with Charlotte Tilbury's products. I'm sure I'm gonna wear this palette a lot, especially for Christmas. No doubt it'll become my favourite travel / holiday friend from now on.